"It is very intense. If you like books such as Hopeless by Colleen Hoover and Wait for You by J. Lynn then you will LOVE this. If you don't you should still try Patch Up anyway as it is pretty unique." Laura, Bookish Treasures. 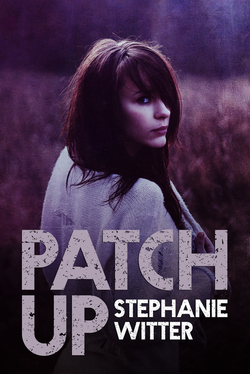 "Patch Up is a perfect mix of everything I love in new adult Stephanie Witter made phenomenal job at creating another gut wrenching story about fighting with depression and twist and turns of life that hooked me and made me breathless. Like Jessica Sorensen, Colleen Hoover and Tammara Webber, Witter made her way to my top treesome changing it to foursome." Smokin' Hot Book Blog. "Patch Up is intense, riveting, heartbreakingly sad at times, angsty, heartwarming, and inspirational. I was hooked from the start. Had I not passed out in the wee hours of the morning, I would have read Patch Up straight through, it is THAT good." Dawn for Rock Stars of Romance. "The pacing of the story is realistic. Little by little, Skye and Duke help the each other patch up and heal from the wounds their lives and past relationships have brought them." Rosaria. "I thought that the plot was beautifully written and I found myself completely immersed in it! I also loved that the author didn't downplay what the main characters had been through! The characters were amazing!" Kendall, Book Crazy. Patch Up is a beautifully written intense story that will introduce you to a very brave young woman whose spirit has been utterly broken, no… shredded." Joann, Romance Book Junkie. "This somewhat repetitive behavior only underscores how well Stephanie Witter builds her world of college students and the relationships of late adolescence as the characters continue to grow, learn to define themselves as adults, and move along the continuum of growing up by inches as well as by the occasional leaps and bounds. The wounds that could cripple Skye and Duke are deep and substantial, not easily overcome; luckily Witter takes her time in building the story and the relationship between these two which only serves to make both believable and satisfying." Nerd Alert. "This is not your hearts and flowers type of story, this is a raw and emotional story. I am not saying you will have an ugly cry over it, but it will steal your breath when you find out what is going on." Cheeky Chick, BOOK fri-ENDS. "This book was sooooo good!!! It made me feel like laughing and crying a lot." Jacinda. "I spent a nice weekend being lost in this love story. Not just your ordinary love story either, so much more depth and suspense not to mention life lessons more and more girls are dealing with theses days sadly. This story can be very relatable and not your typical boy meets girl falls in love." Corrina Whelan. "It NEEDS to be read by everyone. This is one of those books that grabs hold, does not let you go and you are so happy you experienced the story." Bree, Fab Fun and Tantalizing Reads.
" It is not your traditional New Adult book that I’m used to reading and it was a pleasant surprise. What Stephanie was able to create were characters that had flaws, who were broken, but who were able to start to heal and fight their pasts to find peace in one another." Kimberly, Book Readers Chronicles. "Emotional roller coaster doesn't even come close to describing this book, and I found myself becoming attached to Skye and Duke as they tried to break down each other's barriers." Claire Taylor. "Love this book! I just had to start off with those three little words! So much angst, you could probably cut it with a knife! So many opportunities for our main two characters, Duke and Skye, to face their worst nightmares and really be there for one another. Yet, because of the pain of their past, they are constantly pushing each other away." Desiree, A Love Affair With Books. And many more praises on Goodreads, Amazon and B&N.